When it comes to choosing an indoor security camera to protect your home or workplace, it can be difficult to know which option is best for your needs. There are a wide variety of cameras on the market, each with its own unique selling points and benefits. Simply put, there is no one-size-fits-all camera that is better than all others, since the right camera for your property will depend upon your specific circumstances. Static cameras. As the name suggests, these cameras are unable to move and can only focus on a single point. Best for use over a limited area. PTZ cameras. So named for the cameras ability to pan, tilt and zoom, PTZ movement can be remotely controlled from a control room. Although they don’t provide as comprehensive coverage as static cameras, they can be more cost-effective. Dome cameras. Named after the distinctive dome shape of the camera, these come in both static and PTZ varieties and are the most commonly seen camera in the commercial sector. Bullet cameras. These are named after the bullet-like, weatherproof casing that surrounds the camera. Of course, weather-resistance is not so important indoors, so these may not be as attractive for interior use. C-Mount cameras. C-Mount cameras have interchangeable lenses, meaning you can install one which can see more than 40ft away or revert to a more myopic one which can clearly pick out facial details at a closer range. Good for use inside large warehouses or other big spaces. Covert/spy cameras. With the ability to be disguised as everyday objects such as thermostats, clocks and smoke detectors, these are ideal for recording footage without people knowing. Vandal resistant cameras. These cameras are best deployed in areas where they are likely to be targeted by criminals and robbers, such as high-profile businesses or places where money is kept on the premises overnight. Wireless cameras. These cameras transmit their signals via radio waves, dispensing with the need for messy and bothersome cabling. Ideal for use in remote and difficult-to-reach locations. 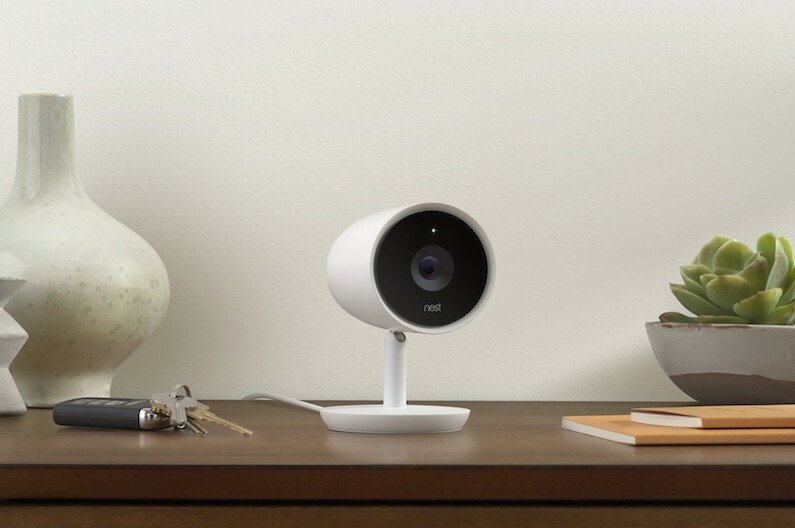 Outside of these parameters, security cameras often come with smart capacities, meaning they can communicate with other devices in your home and give you live feed to your mobile phone. Some of the prime benefits to look out for when picking a security camera include smart capabilities, night vision, microphones for two-way communication and an abundance of storage space in the cloud to keep your footage safe. Of course, depending on the purpose of the camera in question, you may not need all or any of these benefits. If you’re unsure as to what level of security your situation warrants and the kind of camera best suited to meeting your demands, get in touch with one of our friendly specialists and we’ll be happy to talk you through your options. We’re waiting to hear from you!